A few months ago I made the goal of running the Blackmores Sydney Running Festival half marathon. I registered, paid and started training. But something was not right. During my runs, my head kept telling me to stop running. My distances were improving, but I was still walking at regular intervals due to my head telling me "you can't do this! ", "You? Run a marathon? Yeah, right!" It was driving me crazy, I was so determined logically to reach my goal, but self doubt was creeping in and my body struggled to defy my negative thoughts. It felt impossible. So I stopped training. I ignored all the event emails and tweets and my souvenir singlet that I ordered still lies unopened. Opening it would mean accepting failure. Yesterday was the race day, I woke up at 630am realising that I should have been on the start line. I did the only thing I could- I went back to sleep. When I woke again and looked at the clock, I calculated that I would have just finished the race. It was all over. The only thing left to do was accept that I had failed to reach my goal. It felt HORRIBLE! I felt disappointed with myself and ashamed of my "failure". The goal was not physically impossible, but I was mentally unprepared for all the self-doubt that crept in. It was purely my thoughts that got in the way of me achieving the goal. I have not given up on my half-marathon goal, but my head just needs some confidence in my ability to do a shorter distance before I attempt the bigger goal. I am sure my situation is not unique. When we see successful people in sporting, career or business, we do not focus on their journey, we just see their destination. 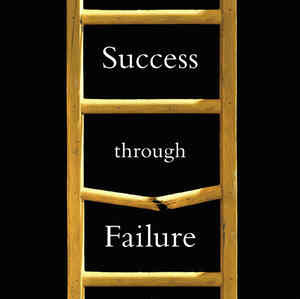 Many of them have had major setbacks and failures along the way. I am sure many have wondered at times if it is all worth it. Success is not necessarily guaranteed first time. I do however believe that perseverance will get you there in the end. So, I re-evaluated my goal and now aim to run a 10km run in November, a goal that does not feel so big and insurmountable as a half marathon. For the last month, I have resumed my training and this time, I am working on my head as well as my body, and so far it is working well. Simple mantras like "one more step...one more step" help me keep going during my runs. I visualise running my race, with lots of people, drink stations and the approaching finish line. I am already nearly half way to my 10km goal, running 4.5km non-stop, and my goal feels much closer and less scary than my half marathon goal. My head feels like it is keeping up well with my body and I feel much stronger mentally than I did when I was running further but stopping to walk. I am slowly getting there and am quietly celebrating my small achievements. I don't want to feel like a failure again. I have to believe that I learned a valuable lesson about the power of the mind and that I will be able to be more mentally prepared next time to succeed.